We don't have any trips to Romania at the moment . Do you want to see similar trips? Located in the Balkans, Romania is a country with a long tradition of craftsmanship. One of the best cities for shopping is Bucharest, its capital, where most of the national stores and international firms are concentrated. Among the typical items that can be purchased throughout the territory are handmade wooden figures. Also, pottery is very popular, as well as glassware, porcelain and textiles, of which rugs, embroideries and traditional clothing stand out. Another of the most valued products in Romania are cosmetics, among which the brands Pellamar and Gerovital H3 stand out. In the case of Bucharest, the best shopping areas are Magheru Boulevard, where a large number of stores are concentrated; Victoriei Street, for internationally renowned firms; or the Bucuresti Mall, a large shopping centre in Vitan. 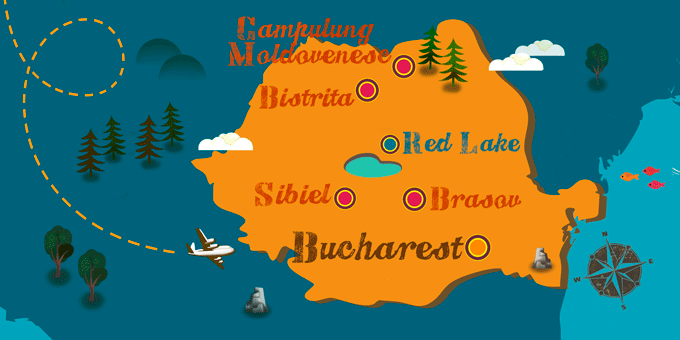 If Romania has caught your attention, leave us your number so we can call you to discuss the voyage that awaits you.